Our recommendations to NewPhone could be summarized in two words – Direct Marketing. Along with traditional means of research, we supplemented our findings with hands on experience – answering sales calls ourselves in order to more fully understand the market. With the knowledge gained from research, we developed a revolutionary hard sell creative campaign that was more direct than what the client had previously used. But, we didn’t stop there. 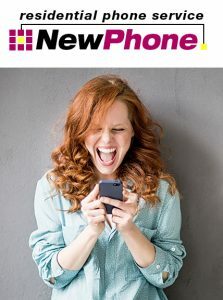 We were also able to roll out NewPhone’s media buy into additional markets by using an innovative bonus spot formula, specifically designed by MSP for direct marketing campaigns. The results were phenomenal. Inquiries soared upwards of 40% and our client expanded into five additional states. We also worked with NewPhone to build a tracking system to correlate sales to each media spot placed. This technique generated more efficient and effective sales. NewPhone is an example of growth through revolutionary marketing approach guided by research.